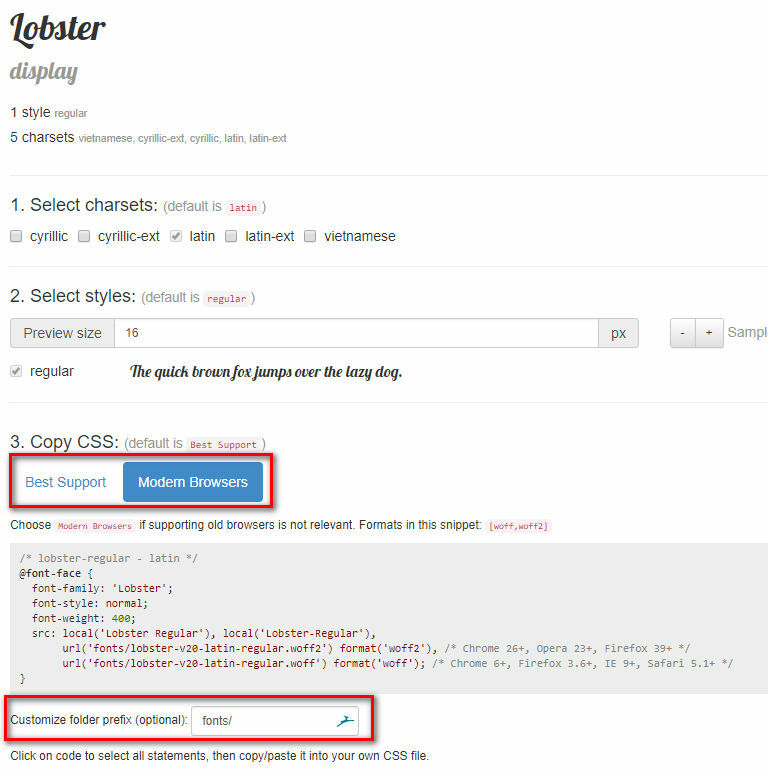 For my example, I will choose the Lobster font. You have several options, you can choose to support most browsers (even the old ones) or only the modern browsers. It's up to you. 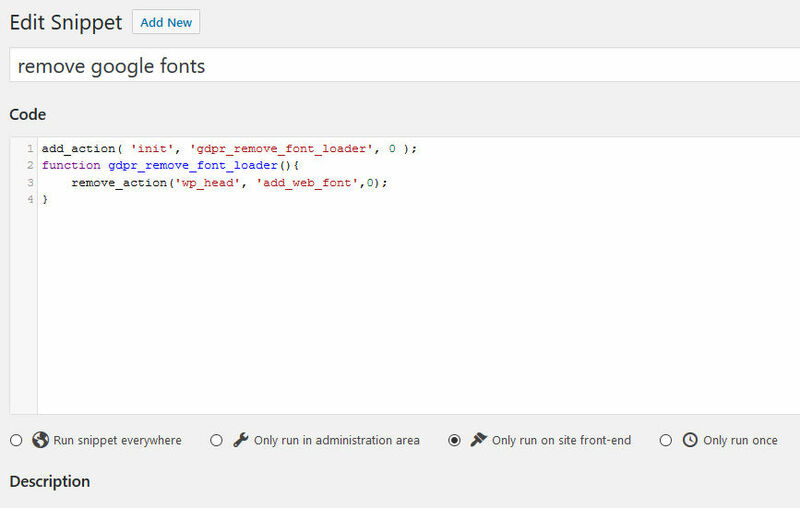 For the folder prefix, change it to "fonts/"